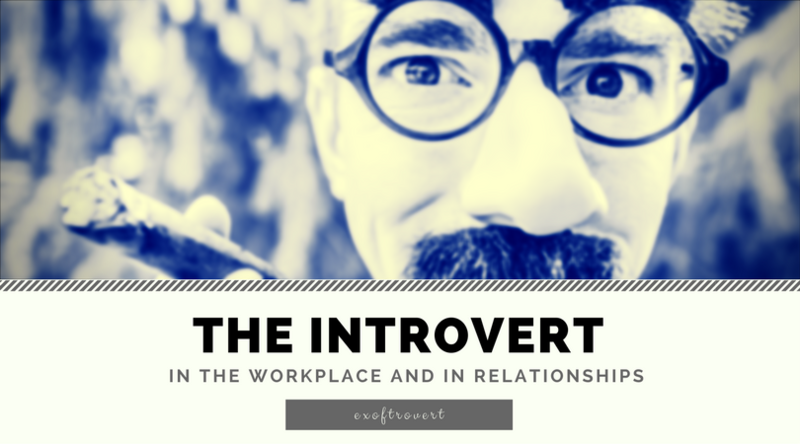 The Introvert in the Workplace and in Relationships - One of the subjects I never get bored with when reading it is the personality and the types. I hope that who likes to stop by this blog also have similarities about this so you will not get bored quickly because, in the near future, I will write more often about personality. What do you think if I write the word 'introvert'? The answer will vary, you may reply that introverts are shy people, wherever they are, they will feel ashamed to do anything, including talking, so that not infrequently the introvert people are labeled as quiet. Or it could be that you think that introverts are a nickname given to people who feel they are too unique to be understandable to others, so they prefer to be alone. If one of them is your answer, then, believe me, those two things are not true. As a person who feels that I belong to an introvert personality, I have a pleasant social life, some close friends, and I like to spend my time with them. Only, indeed sometimes all things become very tiring for me. Whether it's physically or mentally tiring. That's what often makes people introvert look more aloof. Because they need time to restore their energy and passion after physical and mental fatigue. They may sit alone while enjoying a cappuccino in a coffee shop, or in a city park, or just shut themselves in the house while lounging. The behavior that we often see is done by this introvert, well explained by the scientists who examine this. Well, all we need to remember is that everyone has dopamine and acetylcholine in the brain: two neurotransmitters associated with pleasure or happiness. Unfortunately, scientists say that introverts rely on acetylcholine - a chemical that will react well with a calm and comfortable atmosphere, including one having a quality me-time - while extrovert people respond better to the dopamine that gives motivation to seek external stimulus. Another study conducted in 2012, said that introverts have a tendency for difficult decision-making and abstract thoughts because of something called gray-matter in the area of the brain's prefrontal cortex, thus making them prefer to reflect before making a decision. 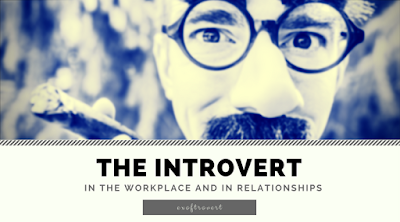 Introverts do not like to seek or even get attention from others and they think that boasting more shows their ability to co-workers in the office is tantamount to looking for attention or popularity. Even introverts will not struggle to look good in front of their superiors. Introverts are also often labeled as gentle people, in fact, they analyze what can be observed and assume with the results of their thinking. Then at the right time, they will talk based on what they have observed and analyzed. That's why when introverts start talking, they often have the right word choice. If you have a love affair with a person who has an introverted personality, especially if you are an extrovert, you might think that your partner is not serious about the relationship you are living. What's the thing? Because introverts are not communicative. You may feel that your spouse is unconcerned or insensitive. But that does not mean they are not serious with the relationship. In fact, introverts will be more likely to be loyal in their relationship with others. They will openly listen to whatever you want to say because they like to observe and pay attention to something that can be analyzed. They will try to understand the situation of others, including the wishes of their partner. Well, if you have close friends, coworkers, or couples including introverts, then be happy.